It’s the holiday season and everyone who is hosting is racing to get their home sparkling bright. We asked our experts for tips on cleaning carpet, tile, and marble floors. Here is what we learned. Don’t rush when vacuuming your rug or carpet. 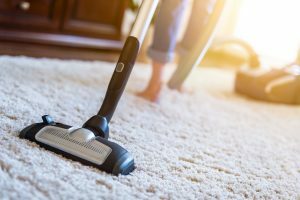 It’s best to use slow, repetitive motions that pull up dirt without ruining the carpet. This also can prevent allergens from getting into the air. Vacuum a 300-square-foot room for about 20 minutes, twice a week. Once a year or more, get your carpet professionally steam cleaned. First thoroughly vacuum to remove dust and debris. Then use a quarter-cup of mild dishwashing soap in a bucket of water and clean. Rinse with fresh water. If dirt persists in the grout, use a toothbrush to clean it. Remove mold or mildew in bathrooms by dissolving a cup of bleach in a gallon of water and then clean with a mop or soft brush. Test first in a hidden area. Stone floors such as marble can be mopped with just a small squirt of mild dishwashing soap dissolved in water. Rinse with clean water and dry with a soft cloth. Do not use ammonia, strong detergent, spray cleaners, or anything abrasive. These may scratch or damage the stone permanently. Whatever kind of floors you have to clean, pick one day each week to clean them. This keeps you from spending more time scrubbing when they are especially dirty, or the day before you have guests.